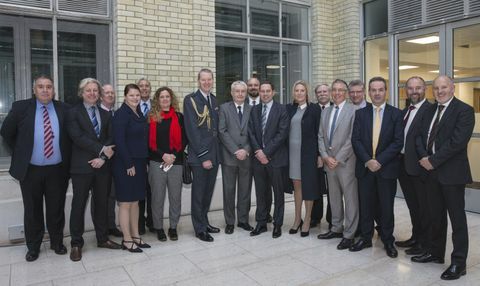 LONDON – Dec. 21, 2017 – Team UK, the F-35 Lightning II maintenance, repair, overhaul and upgrade (MRO&U) bid team—an innovative partnership between the government-owned Defence Electronics and Components Agency (DECA), BAE Systems and Northrop Grumman—has received a prestigious award at this year’s Minister for Defence Procurement (Min DP) Acquisition Awards. 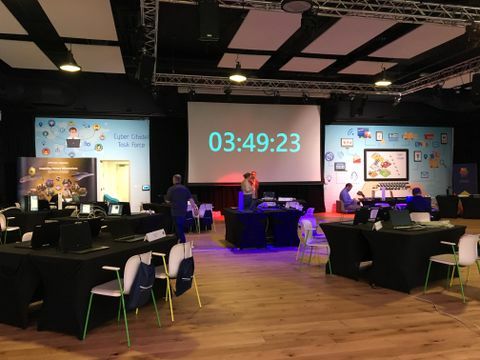 Team UK was among the eleven teams rewarded for their outstanding achievements. In addition to receiving a Min DP Acquisition Award, Team UK was also presented with a Special Award, representing the top honour. Now in its fifteenth year, the Min DP Acquisition Awards recognise teams from across defence for their exceptional performance, innovation, effort and commitment in the field of acquisition. 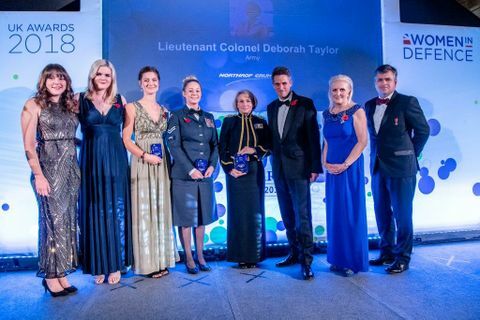 The award was presented by Harriett Baldwin MP, Minister for Defence Procurement during a special ceremony on Nov. 28 at the Ministry of Defence (MoD). In November 2016, as a result of the efforts of Team UK, the US F-35 Joint Program Office announced the assignment of the UK to provide global MRO&U services for F-35 air vehicle depot-level repairable components. The government/industry partnership team, now embodied as Sealand Support Services Limited (SSSL), will provide these services from MoD Sealand in northeast Wales. 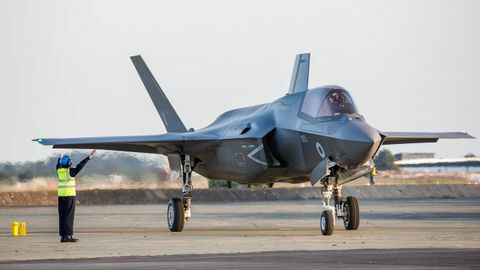 “Securing F-35 component MRO&U work against very stiff international competition was a significant achievement, which will provide long term benefits for the F-35 programme and for the UK” said Andy Hewitt, Deputy Head Lightning Project Team, DE&S. “The F-35 Component MRO&U team, a joint cross government and industry team, is proud to be recognised for its achievement by receiving a Min DP Award”.